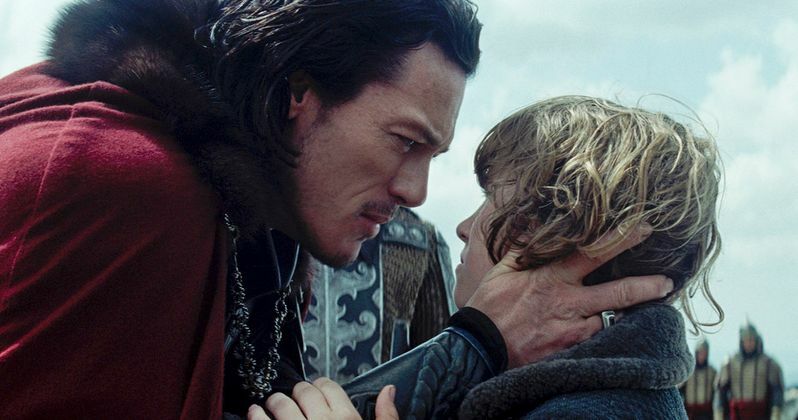 Vlad the Impaler's real-life story is told this October in a thrilling new take on the vampire legend Dracula Untold, which finds Luke Evans as an average man trying to defend his people who succumbs to a curse that turns him into a supernatural superhuman with an insatiable blood-lust. The actor offers a look at the real man behind the monster in a featurette that brings never-before-seen footage from this Halloween thriller. Take a look as director Gary Shore reinvents the Dracula legend for a whole new audience, based on the world famous novel by Bram Stoker. Dracula Untold comes just as Universal begins to relaunch their Classic Monsters franchise, with Dracula, The Mummy, The Werewolf, The Creature and more all inhabiting a shared universe. It is unclear if Dracula Untold will be part of this new cinematic world, which is officially set to launch with the Untitled Mummy Reboot. If Dracula Untold proves to be a hit, it's possible that Vlad will also become a part of this expanded landscape of iconic monsters.